Summer travels took us to places that were reminders of the vagaries of demand for products and the ability, or not, of companies to respond to changes in demand. First up was Westfield, Massachusetts, which proudly declares itself on signs as you enter the city limits as “Whip City”, referring to the booming buggy whip industry in the city in the 19th century. Of course, buggy whips are used in economics courses as a prime example of the obsolescence created by the development of a new industry, in this case, the automobile. In fact, business model obsolescence is often referred to as ‘buggy whip syndrome.’ Continuing to invest in the buggy whip industry while ignoring the impact automobiles were having on demand would have been foolish, although whether buggy whip makers, had they seen the future, could have pivoted their businesses to survive is questionable. Next up was Revere, Massachusetts, home to the New England Confectionery Co., best known for its Necco Wafers candy. The company was founded in 1847 but in recent years had bounced around among a number of owners and the Revere factory was finally closed this July. Necco Wafers were the company’s primary product and revenue generator throughout its long history despite attempts to diversify their product mix through acquisitions and new product rollouts, although within a very narrow segment of old-fashioned candy. Some of us are big fans of the pastel colored dusty sugar wafers, and in fact, news of the company’s potential demise caused some customers to buy up remaining stocks of Necco Wafers in stores and online. But their primary customer base was aging, tastes were changing, and their product mix was not sufficiently diversified to survive. Interestingly, in 2009 the company changed the formula for Necco Wafers to use natural flavors and colors to appeal to younger generations, but the changes were resisted by the core customer base and the company reverted back to the original formula two years later. Whether sticking with the new formula might have generated sales from new customers over time, and whether that would have been enough, is unknown. By contrast, there are companies like Netflix, which in 21 years of existence has substantially pivoted its business at least three times. It started as a distributor of DVDs by mail as an alternative to the neighborhood video store. It then pivoted to the current streaming model (with some exploration of other options along the way). And six years ago, they started producing their own content, to further tie customers to their platform and give them the ability to increase subscription prices. This last pivot may be the most brilliant yet, as their customer base has grown and pricing power has increased. Netflix appears to be intensely focused on what their customers and potential customers want, who their competitors are and what those competitors are doing. While there are no guarantees, Netflix is unlikely to fall prey to buggy whip syndrome. We could go on, but of course law firms are not producing candy wafers or streaming entertainment, so how are these stories relevant? In our work with law firms on strategy, we often find that firms have limited understanding of overall or practice-specific demand trends. Where are their clients’ businesses going and what are the implications of those changes on their need for outside legal services? What are the economic, regulatory and technology trends which will influence demand? When law firms develop new service lines or offerings, it is often almost by accident rather than purposeful. Many firms stumble into emerging demand practices or industries through unintentional and/or modest shifts in an individual lawyer’s client base or practice specialization. Changes tend to start quite small, rather than revolutionary moves or investments – like Netflix developing original content. And when demand for certain practices is flagging, the reaction is sometimes to look for marketing solutions, or even laterals, rather than questioning whether this is a practice that the firm should continue to maintain. Of course, law firms are reactive by nature, there are limited funds available for investment in new ventures, and comparisons to companies like Netflix may be unfair. But understanding where each practice is in the business cycle is important when making strategic decisions. At the risk of relying on old fashioned business methods, an amended version of the BCG matrix can be a useful tool for evaluating practices and setting strategies. The original market share matrix focused on two key elements – market growth and market share. We suggest expanding both of those concepts to be a comprehensive look at external demand and internal competitiveness. For the external demand dimension of the matrix, firms need to look at the current and likely future demand for the practice and ask some of these questions: What is the overall demand for the practice? Is it different in certain sectors and how do those sectors intersect with your client base? Is it a practice that is likely to face significant price pressure that impact overall fees? Is it a practice likely to move through its life cycle quickly? Is it a practice subject to disruption from technology or alternative legal service providers? Is it a practice which might be impacted by regulation (positively or negatively)? For the internal competiveness dimension of the matrix, firms need to ask: What is our current competitive position? What is our ability to improve our competitive position (and what investment will be required)? Is this, or does it have the potential to be a ‘known for’ practice? How profitable is the practice today and what is the profit potential going forward? Is this a practice that drives work to other areas of the firm? Is this a practice that is strategically important to clients? A practice that has high external demand and high internal competitiveness is a ‘Star’ practice. These practices are typically good candidates for growth and investment if there are not limitations on growth (such as conflicts). By contrast, a practice that has low external demand and in which the firm is not a strong performer represents a weak candidate for growth or investment. In fact, the firm should consider cutting or at least phasing out those practices. However, if an underperforming practice is supporting a Star practice, there may be a justification for maintaining that practice. A practice where the firm is strong, but the external demand is flat, is referred to in BCG terms as a ‘cash cow,’ meaning companies should hold the investment but milk profits. 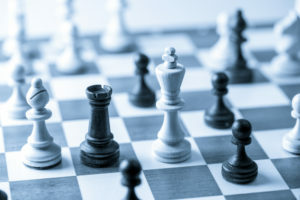 While the concept of milking profits does not typically play out well in the law firm context, these are practices where firms should generally maintain a strong competitive position but seek ways to leverage the expertise into new areas, or have a plan for reorienting and restructuring the practice should demand begin to decline. These practices need to ensure they do not fall prey to buggy whip syndrome. Finally, there are areas where external demand is high, but the firm’s competitive position is weak. These are areas which may offer superior growth potential, but the firm needs to be realistic about its ability to substantially change its competitive position. Do you need to be a Netflix in order to capture more market share? Does the firm have sufficient resources (both money and talent) to invest in this area? What is the likely timeline for achieving a stronger market position? Who are your competitors and what resources do they have? In today’s world, business cycles are moving more quickly and being in business for 150 years, like the New England Confectionery Co., does not guarantee survival. Firms need to be aware of how these cycles will impact demand for the firm’s services. Understanding how your practices are positioned and what that means for investment, divestment and management is critical.